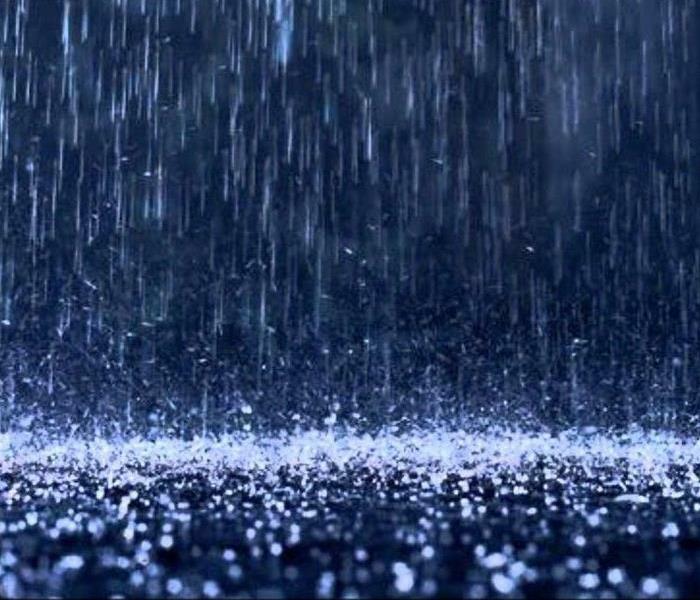 Storms involving heavy rainfall can cause ground flooding. These floods often result in water damage to homes. On the surfaces the damage may appear as a minor loss, but can quickly escalade into a major catastrophe. However small or big your storm damage is SERVPRO of Mt. Laurel/Moorestown is here to help! Recently, SERVPRO of Mt. Laurel/Moorestown responded to storms in Maryland and Virginia and restored homeowner's homes and businesses "Like it never even happened." Homeowner's found sewage backed up in their home due to a storm. Their finished lower level and unfinished basement were affected. SERVPRO of Mt. Laurel/Moorestown was able to help. They used a number of air movers and dehumidifiers to restore the owner's home "Like it never even happened." Homeowner had a fire inside their wall. Soot affected the entire house and water was in the basement. SERVPRO of Mt. Laurel/Moorestown was able to help. They used a number of air movers and dehumidifiers to restore the owner's home "Like it never even happened." Homeowner contacted SERVPRO of Mt. Laurel/Moorestown after a fire occurred. Smoke and soot affected the home. SERVPRO of Mt. Laurel/Moorestown was able to help. They restored the owner's home "Like it never even happened." Business found visible mold and fallen dry wall after a roof leak. Wood and joints were rotten. SERVPRO of Mt. Laurel/Moorestown was able to help. They restored the business "Like it never even happened." 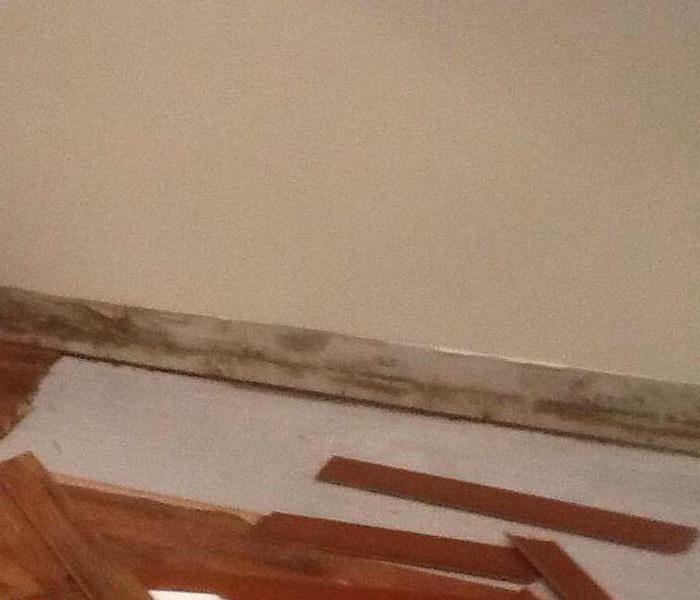 Rain water caused damage to an office roof and breached into approximately half an inch of water in the office. The carpet, ceiling and walls were affected. SERVPRO of Mt. Laurel/Moorestown was able to help. They restored the business "Like it never even happened." Homeowner found their dishwasher leaking for a substantial amount of time. The water leaked into the crawlspace in the kitchen and two rooms in the basement. Additionally, the carpet in the dining room and wood in the crawlspace under the dishwasher was affected. There was water on the floor in the crawlspace and in the two basement rooms. SERVPRO of Mt. Laurel/Moorestown was able to help. They restored the owner's home "Like it never even happened." Homeowner's concrete wall in the basement was wet on one side. Additionally, white and red mold was found. SERVPRO of Mt. Laurel/Moorestown was able to help. They restored the owner's home "Like it never even happened." Homeowner found hot water supply line leaking under their kitchen sink. The hardwood floors, cabinets, and area rugs were affected. 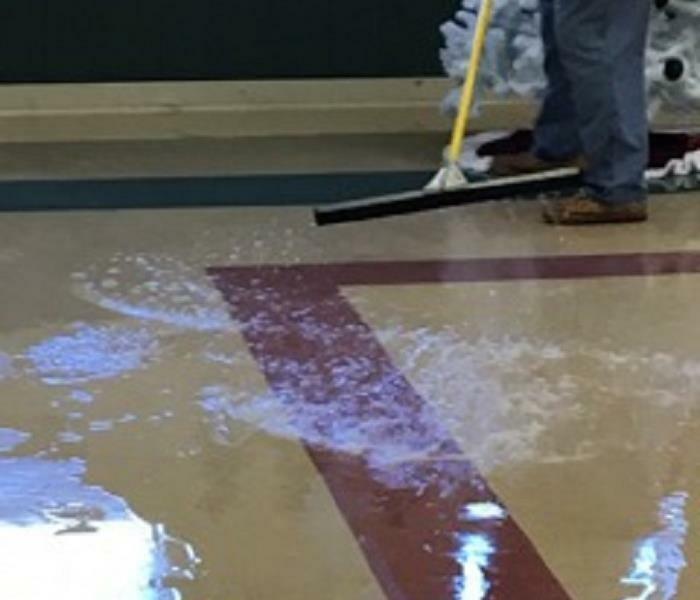 Additionally, the water ran into the hallways. SERVPRO of Mt. Laurel/Moorestown was able to help. They restored the owner's home "Like it never even happened." Business's water was accidently left on for a substantial amount of time. The water leaked to the first floor threw the ceiling tiles and behind the wall. The leak started in the locker room above in the shower. It drained upstairs. Three ceiling tiles dropped in one of the office. SERVPRO of Mt. Laurel/Moorestown was able to help. They restored the business "Like it never even happened." A horrific amount of mold was found in a vacant home. SERVPRO of Mt. Laurel/Moorestown was able to help. They restored the home "Like it never even happened." Mold Remediation in Moorestown NJ, Mold is a fungus that comes in various colors (black, white, green, or gray) and shapes. While some molds are visible and even odorous, mold can also grow between walls, under floors and ceilings, or in less accessible spots, such as basements and attics. Mold does best in water-soaked materials (paneling, wallboard, carpet, paint, ceiling tiles, and the like), but can survive in almost any damp location. 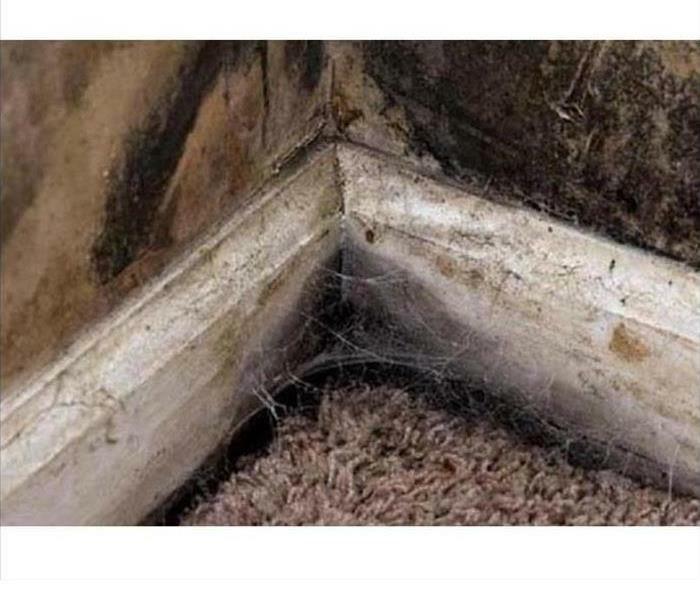 Mold can grow in houses situated in the desert, and it can grow in homes in hot and humid climes. Church contacted SERVPRO of Mt. Laurel/Moorestown due to a pipe that broke in their rectory. The pipe leaked from the rectory down to the offices in the basement. SERVPRO of Mt. Laurel Moorestown was able to help. They used a number of air movers and dehumidifiers to restore the church "Like it never even happened." Business contacted SERVPRO of Mt. Laurel/Moorestown due to a sink with a hole in the drain pipe. The pipe leaked from one room to the next. One of the rooms was affected with mold. SERVPRO of Mt. Laurel/Moorestown was able to help.They restored the business "Like it never even happened." Business contacted SERVPRO of Mt. Laurel/Moorestown due to a vent leaking near their rear entrance. 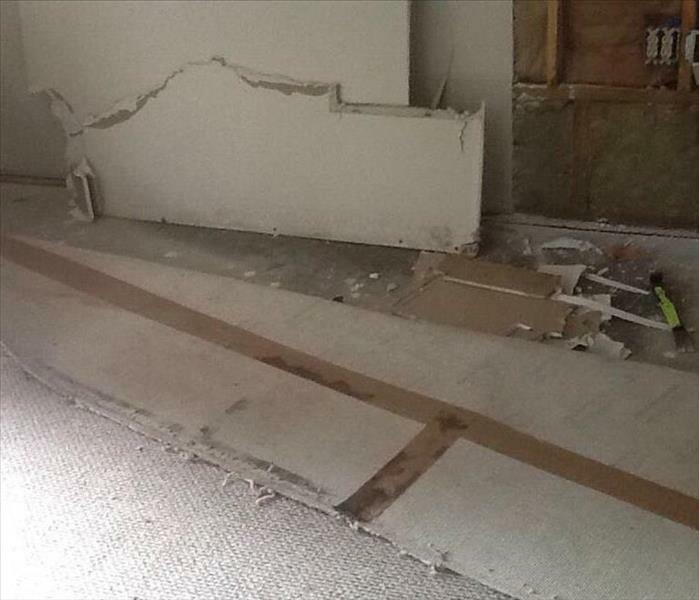 A 5 X 5 area of carpet and wall were affected. SERVPRO of Mt. Laurel/Moorestown was able to help.They used an air mover and dehumidifier to restore the business "Like it never even happened." Church contacted SERVPRO of Mt. Laurel/Moorestown due to a pipe busting overnight. 6,500 square feet of ceiling, carpet and floors were affected. SERVPRO of Mt. Laurel/Moorestown was able to help.They restored the church "Like it never even happened." Homeowner had a fire within their split level, 4 bedroom home. Each level of the five level home was affected to some degree. 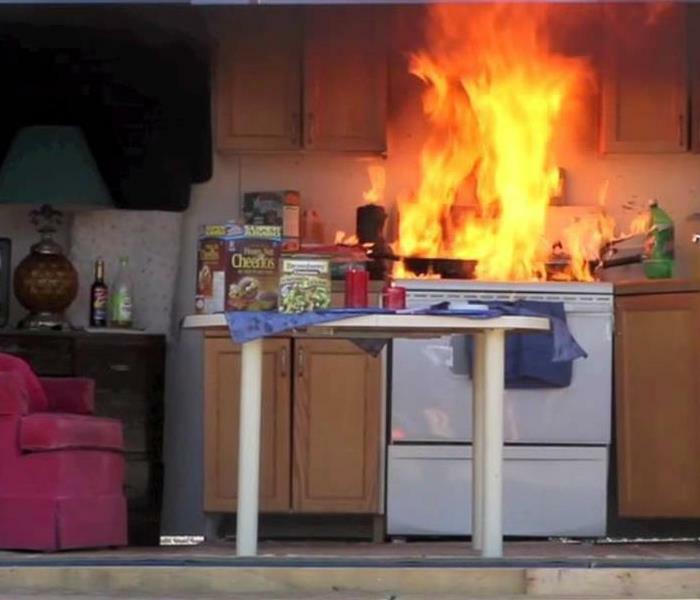 There was an odor lingering throughout the home. SERVPRO of Mt. Laurel/Moorestown was able to help. They restored the owner's home "Like it never even happened." Pipes leaked into the wall in multiple bathrooms upstairs, the office area downstairs and into the unfinished basement. SERVPRO of Mt. Laurel/Moorestown was able to help.They used air movers and dehumidifiers to dry the area and restore the office "Like it never even happened." Homeowner had smoke and soot damage from a fire next door. The ceilings, bedroom and entry way were affected. Additionally, the floors were dirty. SERVPRO of Mt. Laurel/Moorestown was able to help. They restored the owner's home "Like it never even happened." 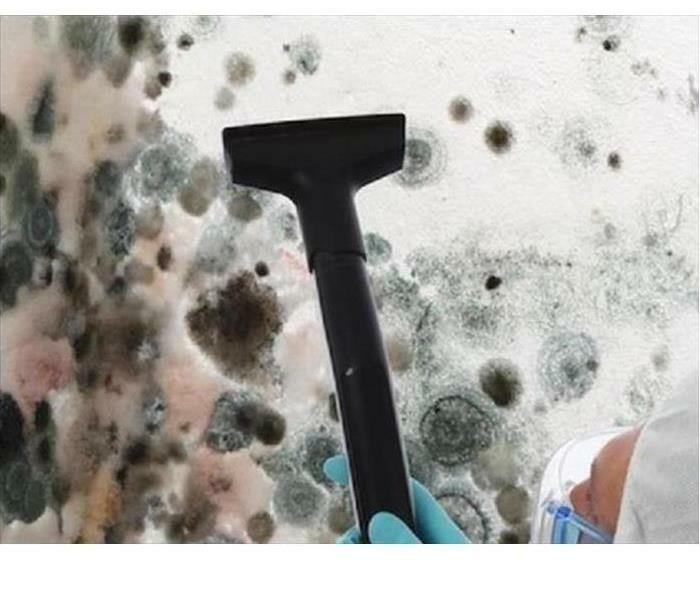 Got Mold? SERVPRO of Mt. Laurel/Moorestown is Here to help! 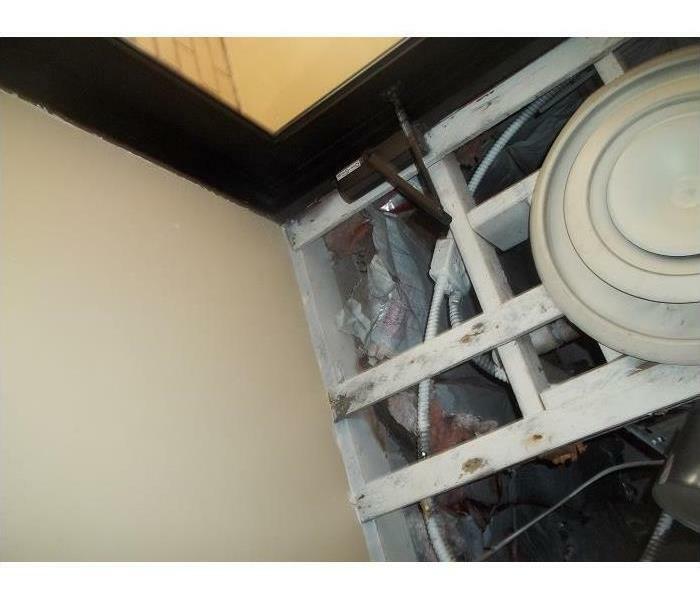 Business found mold due to a leak in their walls. SERVPRO of Mt. Laurel/Moorestown was able to help.They restored the business "Like it never even happened." Homeowner found mold from their hot water heater in their unfinished basement. SERVPRO of Mt. Laurel/Moorestown was able to help.They restored the homeowner's home "Like it never even happened." Got Storm? SERVPRO of Mt. Laurel/Moorestown is Here to help! Homeowner found water damage in their finished basement with carpet due to heavy rains. SERVPRO of Mt. Laurel/Moorestown responded to the storms in Maryland and Virginia and restored the homeowner's home "Like it never even happened." When Storm Happens SERVPRO of Mt. Laurel/Moorestown is Here to Help! Homeowner had sheet rock come down in their family room. 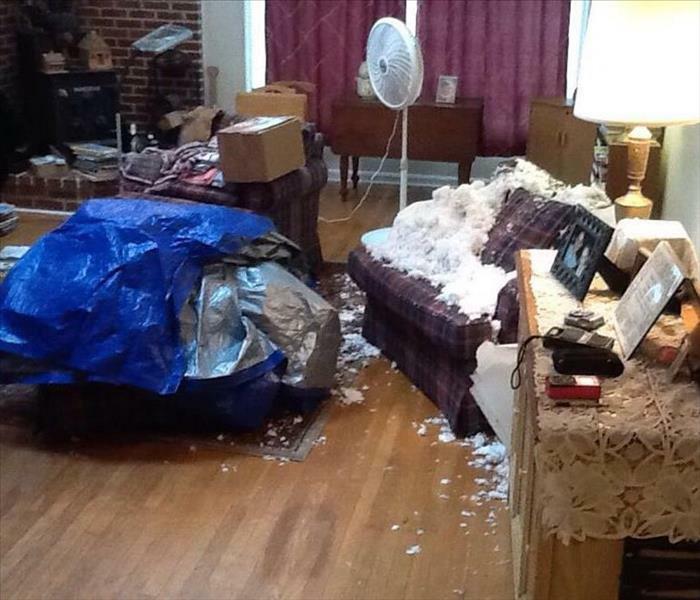 The insulation fell down on their couch. The drywall was affected. SERVPRO of Mt. Laurel/Moorestown responded to the storms in Maryland and Virginia and restored the homeowner's home "Like it never even happened." Homeowner found water in their basement. The marble wood paneling, baseboard and wood/laminate floors were affected. Additionally, furniture legs were wet and there was personal damage. SERVPRO of Mt. Laurel/Moorestown responded to the storms in Maryland and Virginia and restored the homeowner's home "Like it never even happened." Company contacted SERVPRO of Mt. Laurel/Moorestown to extract water from manager's office. The water was due to a leak in the ceiling. SERVPRO of Mt. Laurel/Moorestown was able to help.They used air movers and dehumidifiers to dry the area and restore the office "Like it never even happened." 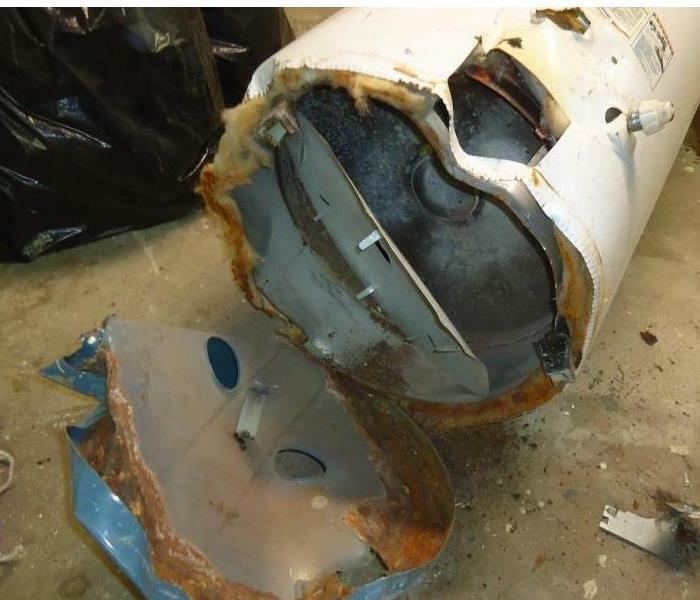 Homeowner's hot water heater burst. The carpet/pad and knotty pine wood paneling on the walls in the finished basement were affected. SERVPRO of Mt. Laurel/Moorestown was able to help.They removed fifteen bags of debris. In addition, they used a number of air movers and dehumidifiers to dry the area and restore the owner's home "Like it never even happened." Homeowner found clear sewage water in their basement. The carpet, concrete/masonry were affected. Additionally, boxes of files, baseboards and other contents were affected. SERVPRO of Mt. Laurel/Moorestown was able to help. They used a number of air movers and dehumidifiers to dry the area and restore the owner's home "Like it never even happened." Homeowner's washer overflowed in their partially finished basement. The vinyl tile flooring and drywall was affected. SERVPRO of Mt. Laurel/Moorestown was able to help. They restored the owner's home "Like it never even happened." 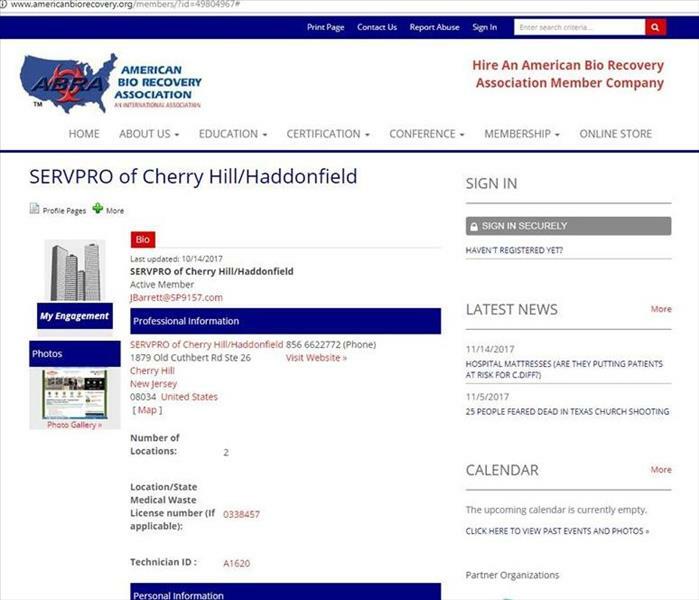 SERVPRO of Cherry Hill NJ, is an American BioRecovery Association, ABRA member companies have had to respond to the call of others in need. For 20-Years ABRA member companies have had first-hand experience in the response to the following crisis events. The Esporta Certified Operator cleans twice as much as restoration dry cleaners. With our game-changing technology, you’ll never need to send soft contents to a dry cleaners again. Eliminate the competition from dry cleaners and make more money. 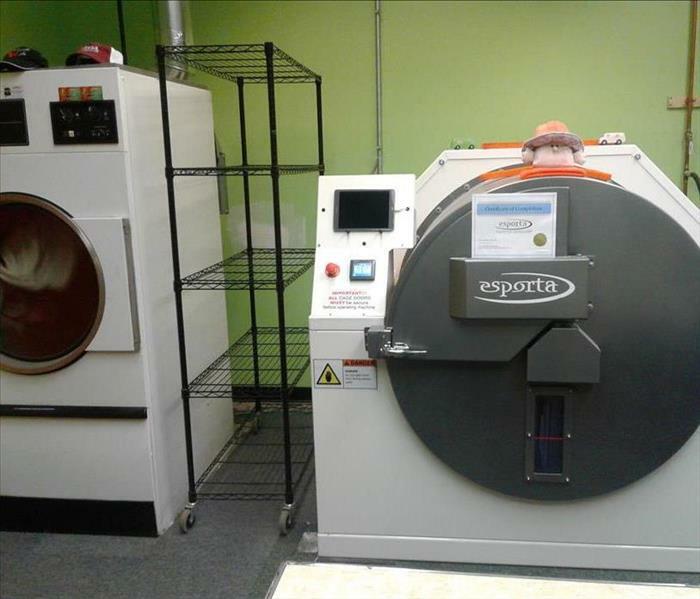 Esporta Certified Operators restore smoke, soot, and water impacted soft contents using the patented Esporta® Wash System. Traditional restoration companies and restoration dry cleaners typically consider much of these items non-restorable and they end up in a landfill. 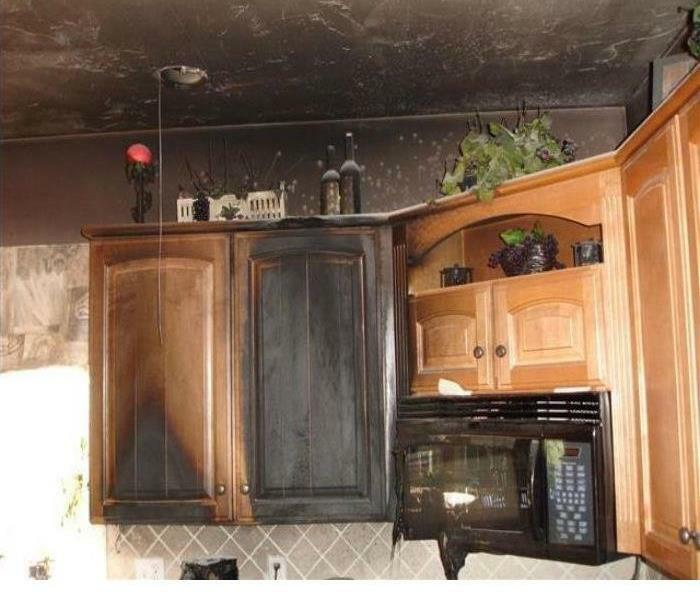 Fire and smoke damage can be devastating to personal property and structures. Quick action is the only way to minimize the destruction. The Institute of Inspection Cleaning and Restoration Certification, IICRC, is a globally recognized organization whose mission is to establish higher industry standards. As a referral source for consumers, IICRC certified firms are more likely to provide a faster, better service than non-certified competitors. One of the most important things is to know the age of your water heater. You can find the age of your water heater by looking at the manufacturer sticker on the upper portion of the water heater. It will have the brand name and many different numbers and small symbols. Try to find the serial number or manufacturer date. This date will not be exactly when your water heater was installed, but it will tell you how old the tank is. The serial number will have a date code for example "F051052638". F is for the month - F is the sixth letter so it represents the sixth month, June. Next the first two digits of the serial number are 05, this represents the year, 2005. A water heater with the serial number F05052638 was made in June 2005. Each manufacturer has a similar "code date" for their product, some are easier than others to figure out, if you can not figure out the age of your water check the manufacturers website for the way to crack their "code". A sump pump is much like a first aid kit, a fire extinguisher, or your home’s security system; there is rarely a time when you actually need to use it, but it can be an essential tool if a dire situation occurs. 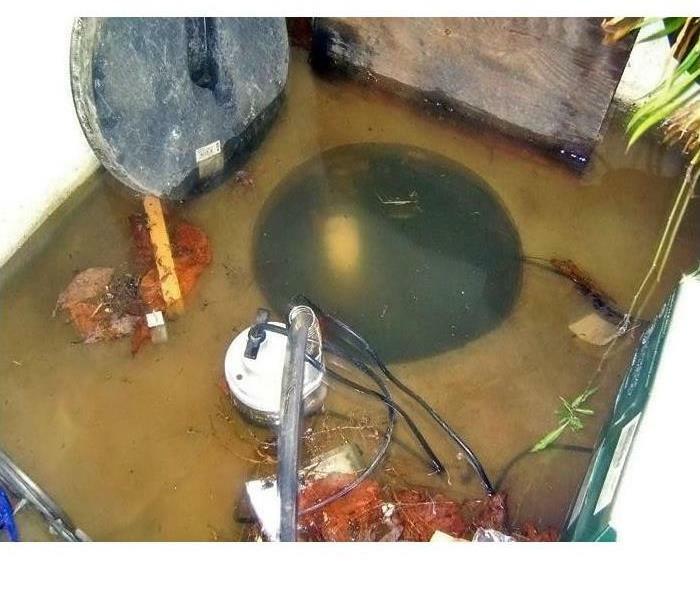 Sump pumps help mitigate and prevent such situations by quickly draining flood water from the basement of a home through an external discharge pipe. And like most emergency equipment, it is important to make sure that your sump pump is well maintained and free of mechanical problems. Otherwise, you may one day find yourself with a flooded basement and thousands of dollars in damages. 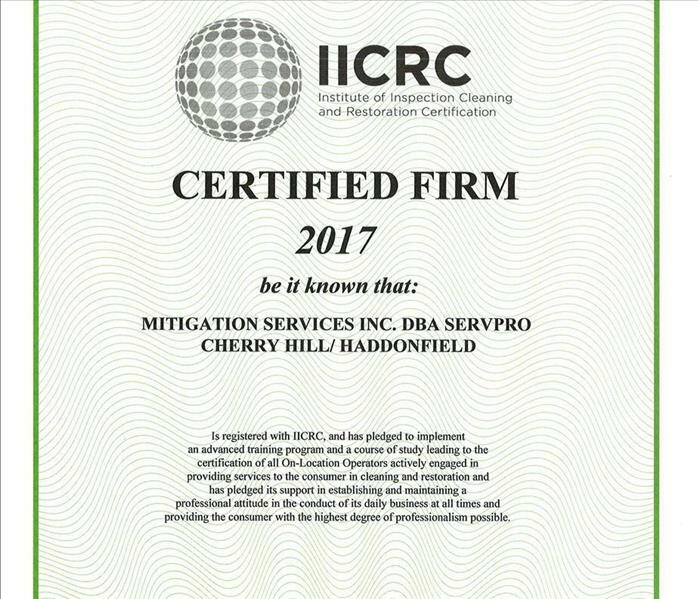 SERVPRO of Cherry Hill / Haddonfield is proud to present our Certified Firm Certification for 2017 from the Institute of Inspection Cleaning and Restoration Certification (IICRC). Every year we continue to apply to the Institute of Inspection Cleaning and Restoration Certification to be recognized as a certified firm and year after year, we continue to be recognized. We would like to thank everyone who has played a part in assisting us in achieving this goal. We sincerely appreciate all of the help, support and encouragement that you have all given us in our pursuit of this and many other certifications. SERVPRO of Cherry Hill / Haddonfield has pledged to implement an advanced training program and a course of study leading in the certification of all. Thank you everyone for all you do. This tiny crack can cause this much damage 2 floors down. SERVPRO of Cherry Hill recommends properly turning off your Main Water Supply, in vacant homes and vacation properties.